You are looking at 100 Capsules of Quercetin with 500 mg per capsule. Other products that we carry that you may be interested in include: : Immune Fortress, Pterostilbene, and Astragalus. 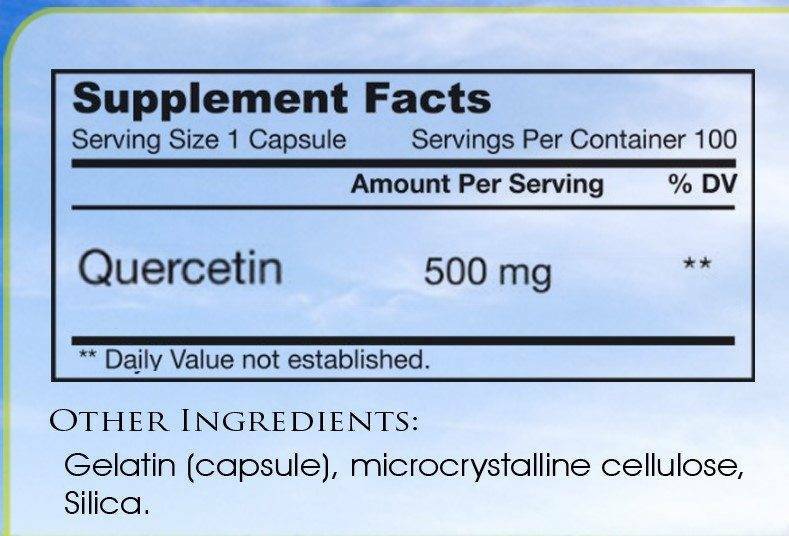 Ingredients per capsule: Quercetin dihydrate (500mg), microcrystalline cellulose, silica.